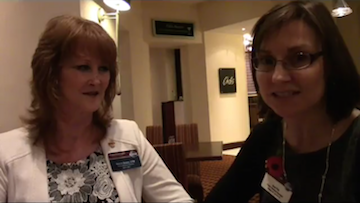 Teresa Dukes speaks 'In The Fishbowl' with Sue Fish, Toastmasters International. A glimpse into what it's like being on the Board of Directors for Toastmasters International. Teresa says "Being elected is a huge compliment to anyone campaigning for office, whether it is in your local community or national politics. Having gone through the campaign race twice it was still a challenging goal to getting elected. Members and constituents need to be assured that you will represent them and they expect you to carry their voices to the table." Many people are unaware that a board member cannot bring a personal agenda to the table. There are already items from the strategic plan that are being worked through and these have to be completed in a timely manner. However, what board members can do is to ensure that they are aware and 'in tune' with their districts' concerns and suggestions. Then their members' voices will come loud and clear when an item is tabled. Being on the Toastmasters International board is one of the most challenging leadership positions available. However, at every stage of the leadership journey we need strong members to step up - knowing and believing that they have something special to offer. Many times it just takes a word of support to help them take that leap! I encourage everyone to be on the look out for those special people and help them realize the potential they have. Help them unlock it. Working with such a culturally diverse group of people from across the world has to be one of the most satisfying roles I've ever been involved with. Two years is going to go fast and I can only trust that by working together with people from across the Toastmasters world we will be able to further guide the organization to ensure its future is secure, sustainable and successful.